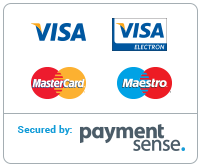 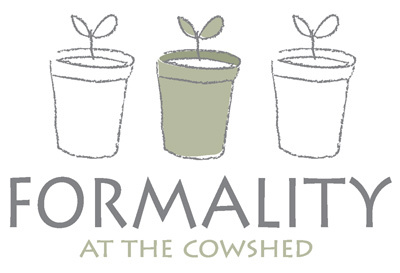 Please Note: Formality In-Store Postal Gift Vouchers are only redeemable in-store at Formality at The Cowshed in Glasthule, and not online. 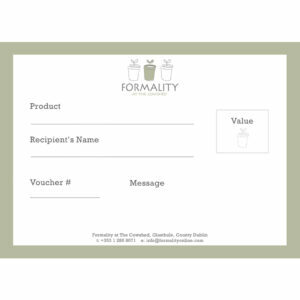 Fill out the short form below and we’ll get this beautiful gift card in the post within 24 hours. 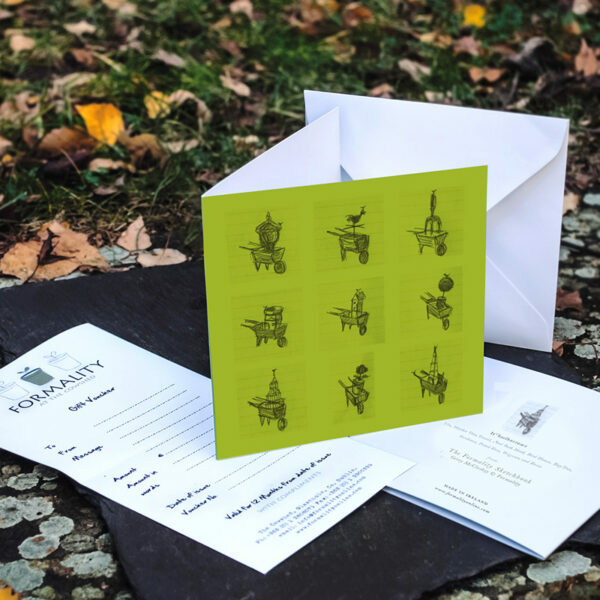 We’ll post a beautiful gift card directly to their/your door!